Home / Articles / Were You Born to Be a Psychic? Some people just seem to have been born on the opposite side of the fence, possessing abilities and special talents that are otherworldly. As young children they said profound things, daydreamed a lot, and saw things others didn’t see. They seemed older than they were, felt alone and different, and were likely labeled the oddball of the family. Coming into adulthood, while others were planning their careers, they wanted to dive deep to understand the mysteries of existence or fly high to touch the bodies of angels. Their fascination with the occult raised eyebrows, but their hunger “to know” put them on an unusual, yet rewarding, sacred path. It seems they were born to be mystics. A mystic, like a shaman, is someone who answers a call and is initiated into a deep mystery housed within us all. Mystics and shamans are offered the opportunity to use their spiritual power, insights, wisdom, and ability to access unseen dimensions to serve others. As technologists of the sacred, they can serve in any number of roles. They embark on paths to become healers, psychic advisors, psychologists, poets, visionary artists, musicians and spiritual teachers. Few born-to-be-mystics seem to actualize their destiny because they feel it necessary to conform to the norm and the expectations of their culture. They are prone to doubt or mask their intuitive abilities, seldom revealing them to others. But for those who recognize their gifts and use them, their life is a meaningful journey of enlightening experiences and a rewarding call to serve the consciousness of others. As a child you may have seen ghostly figures in your room, fairies in the garden or angels in your dreams. But as you grew up, these experiences became a bit less frequent as you grounded into the material world. Now at peak moments, your hunches about others prove right, you seem to know who is on the other end of the line when the telephone rings, and you dream about events on the news before they happen. 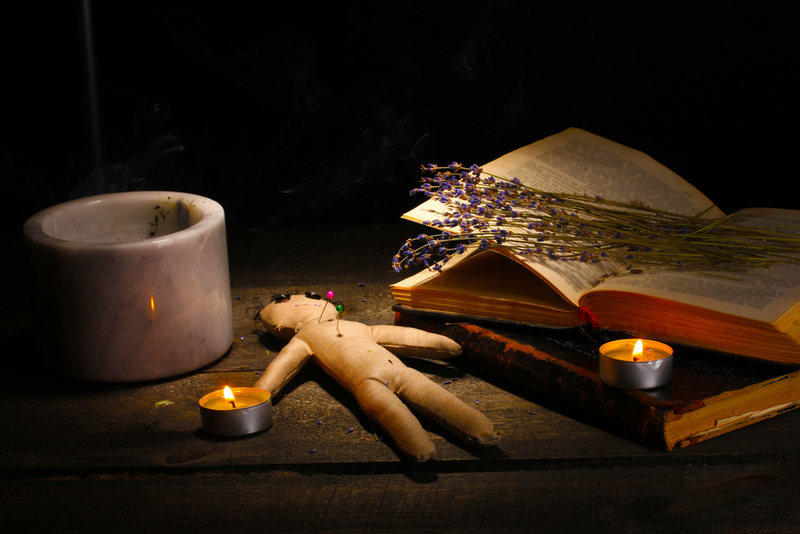 Your clairvoyance may seem like a burden at times and you are afraid others won’t believe you or worse – think you a witch. But the truth is that your psychic ability should be viewed as a gift that is meant to be developed, exercised and used to serve others. As a child you liked to sit alone and draw for hours. With crayons and colored markers your imagination was a wondrous thing. Purple was your favorite color and every landscape shown purple flowers with purple sunsets as a backdrop. Four legged animals wore purple robes and possessed magical powers, often sprouting wings to fly. 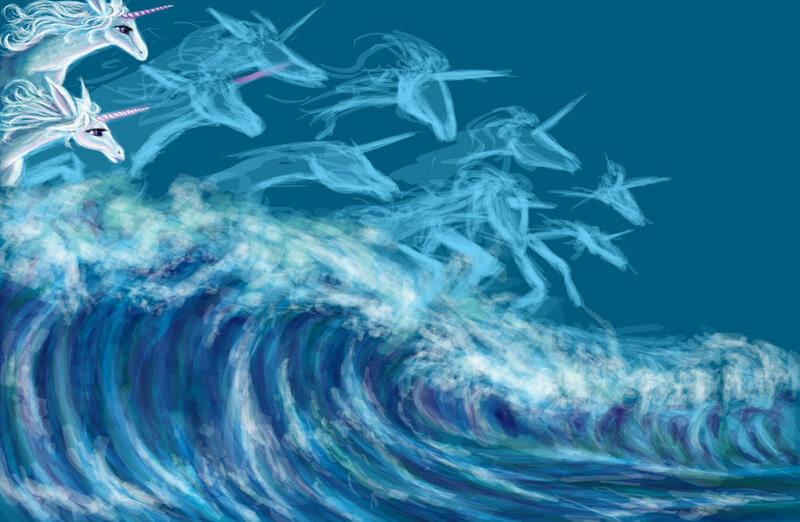 Perhaps your favorite animal was the unicorn, the mythical archetype and emblem of the mystic. Now just about every time you close your eyes you seem to go into a trance. Your unicorn horn parts the veil between the worlds and you easily journey through the mythic dimensions of your soul where you witness a legacy of symbols and archetypes that you like to look up, study, and try to make sense of. Otherworldly visions are the product of an intuitive mind and can be honored as very real experiences through which one becomes privy to a legacy of spiritual information. If you have an artistic ability to match your mythic imagination, you will tend to create drawings and painting that are otherworldly. If a writer, your visions come alive through poetry. How lucky you were if as a child you had an elder to guide you. Maybe your grandparent helped you interpret your dreams or you watched them cook up herb potions in a big pot that were used as medicine. Some of those who are rooted in the metaphysical world chose to come into a family who could nurture their innate gifts, pass down a legacy and help them forge the path of their destiny. Whether a spiritualist who read Blavatsky out loud, a Native American medicine man or woman who taught them to be reverent of nature, or a Jewish rabbi who taught them the ancient esoteric wisdom of the Kabbalah, they were instrumental in initiating the adept student and transferring a body of knowledge. If Harry Potter had been published when you were a child you would have wanted to learn the mystical secrets of wizardry. As it was, you probably preferred the Greek myths over history, learning about the Seven Wonders of the World, and enjoyed stories about the ancient land of Egypt and the Knights of the Round Table. As an adult, your thirst for spiritual knowledge propels you to pour over books on occult subjects such as, hermeticism, tarot, astrology, sacred geometry, and dream interpretation. Or perhaps you prefer to study comparative religion, mythology, philosophy and psychology, all branches on the tree of wisdom. You intellectual quest for the Holy Grail brings meaning to your life and to the lives of others. One a scale of 1 to 10 on the empathic scale you consider yourself at least a 9, feeling the feelings of others and often taking their burdens on your shoulders. As a child, you put band-aids on your animals, your doll and teddy bear, parented your younger siblings and shouldered your parent’s problems. As an adult, you are an “intuitive/feeling” type on the Myers-Briggs Scale of personality types and have what are called “fuzzy” emotional boundaries, meaning it’s hard for you to separate other’s feelings from your own. 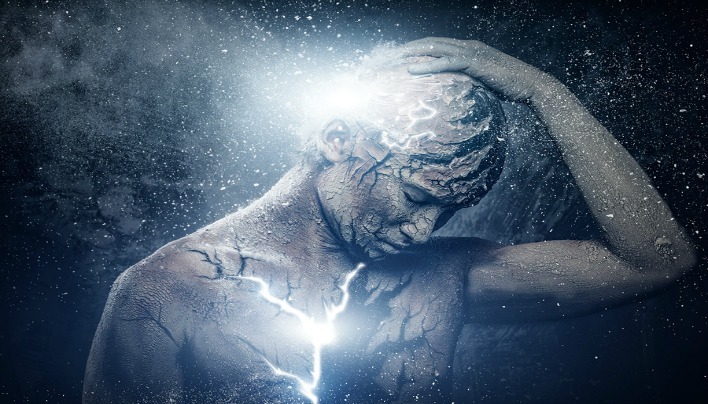 Some empaths receive psychic feeling cues in the form of discomfort in their bodies when in the presence of someone who is ill and tend to absorb energies from their surroundings. Until a higher light is integrated, this sensitivity can seem more like a curse than a gift. 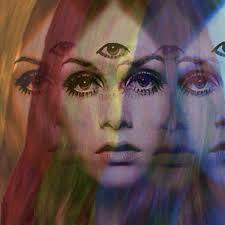 If you are a mystic, your worldview is expansive, surreal, magical, otherworldly, if not dreamy. Your “Kansas” undoubtedly has a bit of “Oz” in it and the Great Mystery unfolds everywhere your ruby slippers take you. You are meant to contribute your mystical genius to the world no matter how difficult it seems. All the great mystics, such as Helena Blavatsky, William Blake, Rolling Thunder and Black Elk contributed a great deal to our understanding of the divine and the divinity within us. Next Am I a Psychic?